Mayor Bill de Blasio released his preliminary budget proposal last month warning of the “tough choices” the city faces as it heads towards an economic slowdown, with revenues already coming in lower than last year. For the first time since he took office, the mayor instituted a Program to Eliminate the Gap (PEG), which is meant to find the majority of $750 million in additional savings the mayor promised by the time the executive budget is released in April. Nonetheless, the mayor’s budget increases spending by $3 billion owing largely to costs from new contracts with labor unions, education spending, debt service costs, and fringe benefits. There are few new initiatives that add costs, while the threat of state budget cuts and cost shifts continue to loom -- the state is in a tougher fiscal situation than the city. The de Blasio administration also did not include any additional allocations to the city’s reserves, which remain strong but not as robust as some watchdogs believe they must be in order to withstand a recession. “The Council agrees that we need to be cautious but that caution needs to be exercised with precision,” Johnson said in his opening remarks at Wednesday’s hearing, worried about the possibility that the mayor’s PEG program could lead to cuts in social services. He criticized Melanie Hartzog, director of the Office of Management and Budget, for her lack of specific answers about the PEG, and expressed frustration that the mayor seemed intent on finding millions of dollars in such savings after years of having ignored similar calls from the City Council. Hartzog, the administration’s top budget official, acknowledged early on in response to Johnson’s questioning that the city may have to find additional savings once the state budget is finalized (it is due by April 1) and personal income tax revenues become clearer. Of the $750 million savings target, she said $544 million constituted the PEG and was to come from agencies finding efficiencies and cuts (the rest will be achieved through continuing a partial hiring freeze the mayor put in place last year and through debt service payments). Those target amounts for individual agencies were released on Tuesday. They include, for instance, $123 million from uniformed forces including the NYPD, FNDY and others; Health and welfare agencies, including the Administration for Children's Services and Health + Hospitals, will have to find nearly $147 million in savings; The DOE and CUNY will have to identify $110 million; Agencies in charge of housing and economic development will have to find $52 million in savings; Another $40 million will have to come from infrastructure, libraries and cultural institutions; and several other agencies will together have to find about $70 million. Even the mayor's office will reduce spending, by about $1.6 million. Hartzog, though, emphasized that OMB was working with agencies on the PEG and would have all the information by the executive budget. “This is not anything new that we have done,” she said. Johnson and his colleagues, Council Member Daniel Dromm, who chairs the finance committee, and Council Member Vanessa Gibson, who chairs the capital budget subcommittee, also raised concerns about the city’s ten-year capital strategy and the lack of planned investments in the latter half of the plan. Dromm pointed to several expenses that were missing from the budget including discretionary Council funding, which was $391.3 million last year; additional costs for school bus services as the Department of Education is in the process of securing new contracts; several one-time education programs funded up to $122.6 million last year; and an overtime budget worth $1.3 billion, $400 million lower than the average overtime spending from the last five years. Gibson, whose subcommittee was created last year to specifically examine the problem-ridden capital process, said the administration “continues to fail to comply with the letter and the spirit of our charter” in providing the necessary documents about the capital budget. The $104.1 billion preliminary ten-year capital strategy is $14.5 billion more than the last ten-year strategy that was approved by the Council. Hartzog did have one piece of good news about the city’s capital budget. She noted that Moody’s Investors Service upgraded the city’s general obligation bond rating, which would lower the city’s borrowing costs. Dromm later said the Council projected about $343 million in savings from that rating upgrade though OMB did not have its own projection. But the strategy, Gibson said, includes several instances of “unrealistic planning,” noting that $75.5 billion or 72.6 percent of the ten-year capital strategy is outlined for just the first five years. For instance, it includes $853 million for NYPD facilities in the first three years and only $160 million for the same need in the next seven years. The capital budget also includes “significant excess appropriations” and does not track capital project spending or completion, Gibson noted. “This issue is not new to this administration,” she said, though she did praise officials for reducing excess appropriations last year by $5.9 billion and adding new budget lines to give more clarity to the process. Hartzog conceded that capital planning has been a challenge for the city but that the administration has been working to distribute capital expenditures across the ten-year plan. “We’re gonna continue to work on that so that you will see over time that the...out-years of the ten-year plan smooth out and it wouldn’t be as high in the first five years,” she said. Comptroller Scott Stringer and officials from the Independent Budget Office (which released a report on the budget on Wednesday) also testified before the Council on Wednesday. Stringer, who released his own analysis of the mayor’s preliminary budget last week, continued to emphasize the need for a greater budget cushion by putting away more funding in reserves. “Given the uncertainty on the horizon, I am increasingly concerned that we simply have not done enough to hedge against the risks,” he said in his testimony. The Council will continue to evaluate the preliminary budget over the next several weeks, with specific agency heads being called to testify, before the Council issues its response. The mayor’s updated executive budget in April will then go through another round of Council hearings before the final spending plan for the next year is adopted. Note - this article has been updated with PEG targets released by the mayor's office and to clarify that the PEG is meant to find $544 million in savings, not the total $750 million. 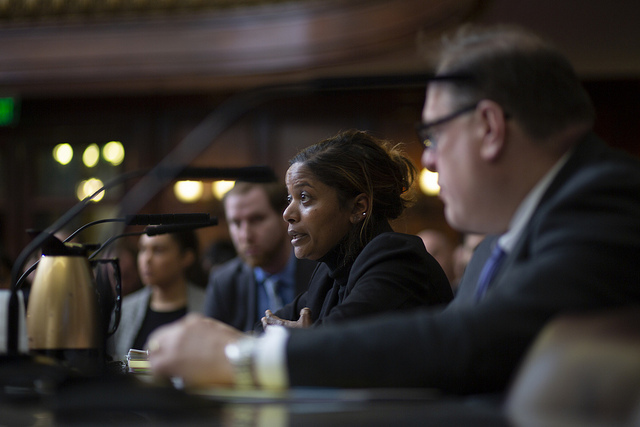 Over the last few weeks, the new Subcommittee on the Capital Budget chaired by Council Member Vanessa Gibson, under the purview of the Committee on Finance, has been conducting oversight of agency-specific capital spending and, on Tuesday, the committee turned its eyes to the administration’s overall $45.9 billion preliminary capital budget for 2019-2022. That capital budget proposes authorizing $11 billion in new spending for the 2019 fiscal year alone. The city’s fiscal year begins July 1. Separate from the proposed capital budget is the capital commitment plan. While the budget is set aside for all capital needs not previously allocated, the commitment plan accounts for the money the city actually intends on spending on capital projects in sum. At Tuesday’s hearing, Council Members analyzed the $79.6 billion capital commitment plan for 2018-2022, including $19.3 billion that would be spent for fiscal year 2019 (including funds rolled over from previous years). “For too long, the majority of our attention, the public’s attention, and the advocates’ attentions has been on the expense portion of the budget,” said Speaker Johnson, in his opening statement at the hearing, referring to the city’s annual spending on operations, typically simply referenced as the city budget. “This has left mayoral administration after administration to manage the capital budget process largely without the rigorous review it deserves,” Johnson said, giving indication to why he created the new subcommittee. This is the first budget process since Johnson was elected speaker by his 50 Council colleagues. Johnson, and several of his colleagues after him, criticized successive administrations for allocating a majority of funds in the early phases of years-long projects, rolling over unused funds, and lumping in dozens, if not hundreds, of projects under broad budget lines. Gibson pointed out the glaring discrepancy between how much the city was appropriating for capital projects and how much was being spent each year. “This is certainly not a new phenomenon, this is not a new concept,” Gibson said, noting that between fiscal years 2012-2017, the city had on average appropriated $36.7 billion annually, planned to spend $15.3 billion on average, and spent only $8.5 billion. “As always, we will approach the capital budget process with caution,” said Melanie Hartzog, director of the Office of Management and Budget, in her opening remarks Tuesday, emphasizing that the city was being careful about its spending on debt from infrastructure projects. Hartzog, recently promoted to the position by de Blasio, noted in her testimony before the Council the impact of the federal and state budgets on New York City, including proposed cost shifts for MTA capital to the city -- a proposal from Governor Andrew Cuomo that is being debated in Albany -- and the devaluing of a federal tax credit that incentivizes the creation of affordable housing. She also reiterated many of the new and ongoing investments made by the administration in traffic safety, flood mitigation, transit infrastructure, schools, affordable housing, economic development and public housing. Hartzog said the administration has taken steps to provide more accurate assessments of capital needs, by investing at least $50 million for agencies to plan and review projects before funding is put toward them. The administration has also increased staffing at agencies with large capital needs to focus on project planning and management, she said. A key factor in possibly speeding up capital projects, Hartzog said, is design-build, a streamlined process that would allow the city to solicit combined design and construction bids for infrastructure projects. To use design-build, the city requires approval from the state, where passage has been elusive thus far, though there is the possibility this year of authorization for specific projects. It’s one of many key issues that the de Blasio administration has been pushing in Albany as Cuomo and the state Legislature negotiate the state budget. “Applying the design-build approach would shave hundreds of millions of dollars from the cost of projects and reduce completion times by 18 months on average,” Hartzog said at the hearing. The city wants design-build for projects like rebuilding a portion of the Brooklyn-Queens Expressway, major NYCHA repairs, and building out jail capacity to replace Rikers Island facilities, among others. The hearing was by-and-large amicable and Hartzog repeatedly promised to work with the Council on improving its capital process, having ongoing discussions with Council Members about proposed projects in their communities and conducting more regular reviews of capital spending. But the Council could not extract concrete commitments on reforms they hoped to see. Johnson pushed for a 15 percent cap on the difference between excess appropriated funds and the capital commitment plan, using an industry-standard ratio for budgeting capital projects. “Basically, the Council is annually presented with a capital budget to adopt that gives twice the authority to spend over what is planned...It’s my opinion that it is time for a new status quo,” he said. Hartzog, however, said the administration has increased the level of spending in the commitment plan “significantly” and reiterated that they are working to “rightsize” agency-specific capital plans. She noted that the 15 percent contingency funding applies to projects and cannot be used as a standard for appropriations. OMB Deputy Director Charles Brisky also emphasized that contingency funding allows needed flexibility for projects and that examining the difference between appropriations and commitments could be misleading. “If you think that there’s more to be done, we’re open to working with you and your staff to get that done,” Hartzog added. Council Member Daniel Dromm, chair of the finance committee, focused his attention on how the city plans to raise funds for capital projects, and the debt it incurs in the process. He noted that though the city’s borrowing has largely hewed close to expectations, the administration continues to overestimate the debt it will incur down the line. “This overestimation skews the picture of the city’s debt affordability over the plan and provides the administration a convenient source of savings for subsequent citywide savings plans,” Dromm said in his opening statement, referring to the administration’s voluntary savings program for city agencies, which the Council has criticized for an inadequate focus on creating actual efficiencies. Hartzog pushed back, calling it a “little bit of an apples-to-oranges comparison.” Her colleague, Brisky, explained that city borrowing was for projects that are years into construction or had already been completed, while the commitments were for future projects. “That’s a little bit harder to project,” he said. When Gibson pushed for more detail on individual capital projects, yet again the budget officials demurred. “Are you willing to commit with us to looking at...how we can itemize some of those budget lines to look at specific projects and delineate a little bit of the large, overly-broad general budget lines the Council has typically received?” Gibson asked. Hartzog agreed, but added, “I will say that, and I’m sure you agree with me, what we don’t want to do is cause any delay in any projects getting done.” She cited the Department of Environmental Protection which has large pots of capital funding set aside for emergencies that are hard to predict. Although fiscal monitors have generally praised the de Blasio administration’s handling of the city’s finances, the Council’s criticism tracks with reports by independent watchdogs that the city’s capital planning needs to be more efficient. “I want to focus on what will be a recurring theme of these hearings -- ensuring that the City budget is fair, transparent, and accountable to New Yorkers,” said Council Speaker Corey Johnson, in his opening statement, kicking off the series of hearings at which agency heads and top city officials will present to the Council their funding priorities for the next fiscal year while defending their programs and practices. “For too long, administration after administration has presented the budget to the Council in a manner that makes it difficult for us to do our Charter-mandated duty of budget oversight and review,” Johnson said, decrying the “frequent usage of vague and over-inclusive units of appropriation” that make city spending hard to track, and the lack of measurable connections between budgeting and results. 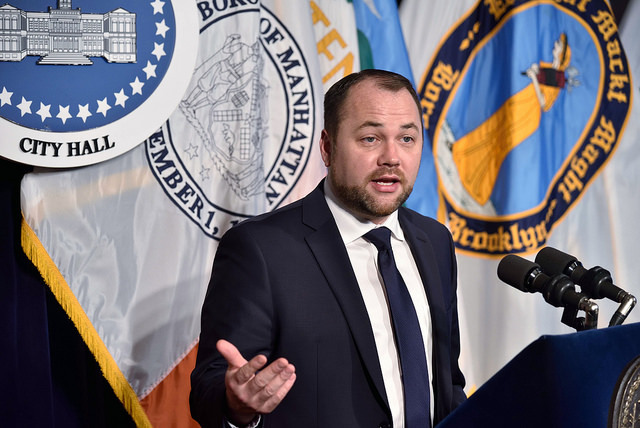 Johnson also expressed concern about the ballooning of the city budget under de Blasio, noting that the city expects to spend as much as $95.2 billion by the 2022 fiscal year, and promised a “renewed focus” on the city’s capital budget. Johnson has created a special capital budget subcommittee for that purpose. 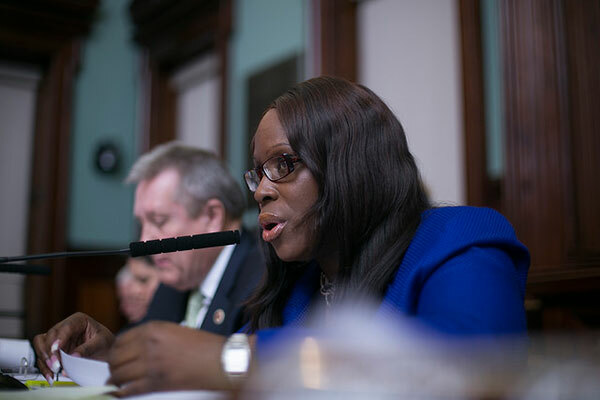 Over the course of several hours, the Council heard testimony Monday from representatives of the Office of Management and Budget and the Department of Finance, Comptroller Scott Stringer, and representatives of the Independent Budget Office. The hearing saw a few testy exchanges between Council members and new OMB Director Melanie Hartzog, indicative of the increased independence that Johnson has promised under his leadership. Members pushed hard when Hartzog gave them answers that they believed lacked sufficient detail and Hartzog, in turn, seemed to dig in when faced with repeated critical questions. Although Dromm noted that de Blasio had proposed little in the way of new spending -- $393.5 million in additional spending for the current fiscal year and $364 million for the next -- he said particular items called for increased oversight. Among those are spending on homelessness, which has increased by $2.8 billion under de Blasio, including a $150 million baseline increase in the preliminary budget for shelters. “Obviously, the Council supports spending money in order to combat homelessness and to provide everyone in the shelter system with a safe and permanent home,” Dromm said. “But that does not mean that we will authorize the administration to spend carte blanche.” He said the Council had yet to hear a “clearly articulated strategy” on homelessness from the administration. Dromm also questioned whether the mayor’s Citywide Savings Program (CSP), a voluntary program for city agencies, was finding “real efficiencies” and pushed for reporting by the administration on the CSP’s implementation in the annual Mayor’s Management Report. “Our emphasis in the preliminary budget is caution,” OMB Director Hartzog told the Council, stressing that the $750 million in new spending across the two years in the budget was offset by $900 million in savings. Hartzog took over her portfolio two months ago after her predecessor Dean Fuleihan was appointed first deputy mayor by de Blasio. In her testimony, Hartzog warned of nearly $1 billion in fiscal threats the city faces from the state and federal budgets that will affect everything from education and public safety to affordable housing, health care, and transit funding. “Facing great risks from both Albany and Washington, we respond with caution by adhering to the same foundational principles of fiscal management that we have in the past,” she said. In keeping with past years, the city has set aside “strong reserves that serve as a buffer to the unexpected,” Hartzog said. The preliminary budget includes $5.5 billion in reserves, including $1 billion in the general reserve, $250 million in the Capital Stabilization Reserve, and $4.25 billion in the Retiree Health Benefits Trust Fund. Hartzog touted the city’s “targeted, prudent investments” in the new budget, including the expansion of pre-kindergarten for more three-year-olds in the city, efforts to increase the city’s affordable housing stock, funding to protect tenants from construction harassment, increased capital funding for the New York City Housing Authority, spending on mental health services and the full rollout of the NYPD’s body camera program, among others. Hartzog also said that funding for DemocracyNYC, a voter engagement program announced by the mayor in his State of the City speech last month, would be included in the executive budget which is released after the Council has held weeks of hearings and had an opportunity to respond to the preliminary spending plan. It was clear early on that Johnson did not intend to take it easy on the administration, jumping straight into property tax reform as he questioned Hartzog. The mayor had promised action on property taxes in January but has yet to make any policy moves. Despite repeated pushing from Johnson, Hartzog was similarly noncommittal. “As the mayor said, you’ll hear more from us very soon,” she said, without providing a concrete timeline. In several instances, when Council members expressed disappointment with the funds allocated to certain programs and agencies, Hartzog promised to have ongoing conversations with them. But, at Dromm’s urging, Council members avoided going deeper into agency-specific questions, a break from previous years when members grilled top budget officials on various aspects of city government. There will be specific agency budget hearings beginning Tuesday. One issue that several members returned to, however, was the city’s spending on housing homeless New Yorkers in cluster sites and emergency hotel shelters. Hartzog repeatedly told members the city could not delineate that spending, owing to constant updates and reestimates of costs related to homelessness spending. Johnson noted that the preliminary budget included a $169 million increase in baseline funding for shelters, but with few results to show for it. “It’s concerning to the Council that we keep adding hundreds of millions of dollars on an annual basis but we haven’t seen a significant decrease in the homeless population,” Johnson said to Hartzog at one point. Johnson also failed to get a commitment from Hartzog on providing more units of appropriations in the budgets for city agencies that lack detail and transparency. He noted, for instance, that the Department of Corrections has one budget line for jail operations, despite running several jails across the city. Hartzog said she could not commit then and there to creating more units but promised to work with the Council on its concerns. Other members followed Johnson’s lead, some forcefully pushing their priorities that included funding for the summer youth employment program, increased contracting for minority- and women-owned businesses, senior services, health coverage, and more. 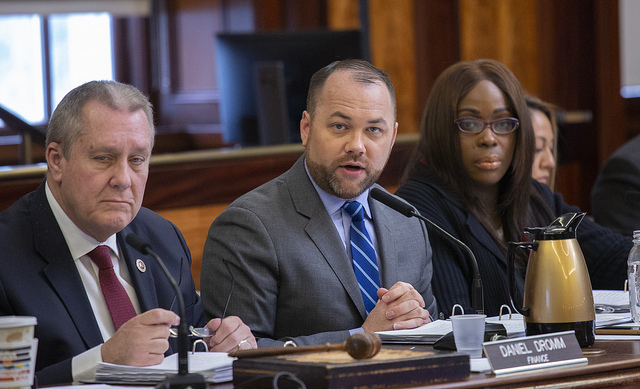 Council Member Rory Lancman, a vocal critic of the de Blasio administration, raised the issue of funding for the ailing MTA and scandal-ridden NYCHA. “They are two areas where the mayor has to some degree or another, I won’t say abdicated, that’s too judgmental, but has offered the view that they are either not his problem or the origin of the problems lie elsewhere,” Lancman said. Hartzog tried to float arguments that de Blasio has put forward -- that the state should fund the MTA and new MTA revenue streams should include “lockboxes” to keep the money in the city, and that the administration had made unprecedented investments in NYCHA in the absence of federal and state funds. Lancman, though, cut Hartzog off and insisted she focus on the budget before them. Comptroller Scott Stringer, who testified in the afternoon, praised the mayor’s budget proposal for including more funding for the expansion of 3-K for All, capital funds to repair and replace NYCHA heating systems, and for closing the first jail on Rikers Island. But Stringer had a warning for the Council and the administration. “I am concerned that we are beginning to see warning signs of a slowing economy,” he said, emphasizing as he has done for years that the city needs to set aside more rainy day funds. “More than ever, our spending decisions must be data-driven and evidence-based. We must ensure that no dollar is going to waste,” he added. Two signs he pointed to were significant job losses in the last quarter of 2017, after years of sustained employment growth, and a reduction in the city’s cash balance -- from $5.4 billion in fiscal year 2017 to only $1 billion in the current fiscal year -- from slowing growth of non-property tax revenue. Stringer had clear prescriptions for the city. He has called for a “budget cushion” between 12 and 18 percent of the city’s operational budget, while the city’s reserves currently stand at only 9 percent or $8.5 billion.